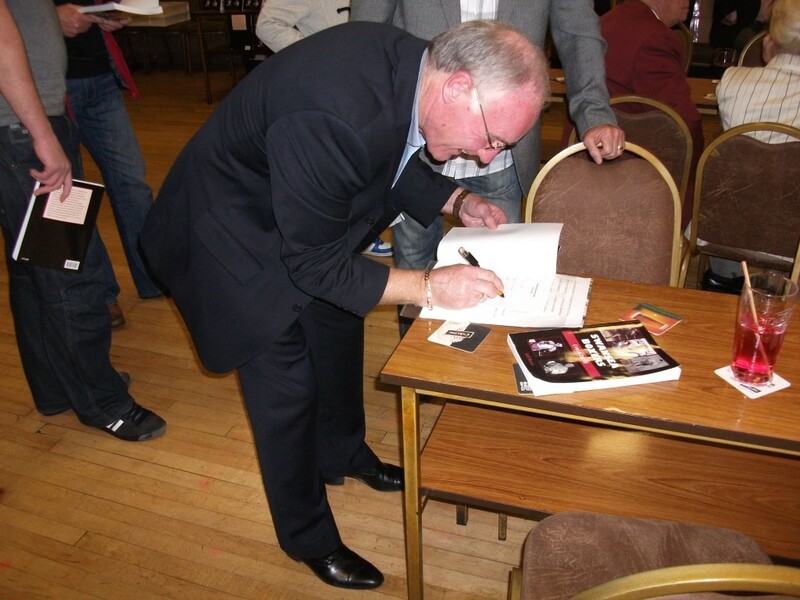 The book launch was in Swansea at the Railmen’s Club, Wind Street. More than 120 people, including boxers, boxing managers, trainers and promoters past and present attended and talked about their involvement in Swansea boxing and the county’s pugilist pedigree. 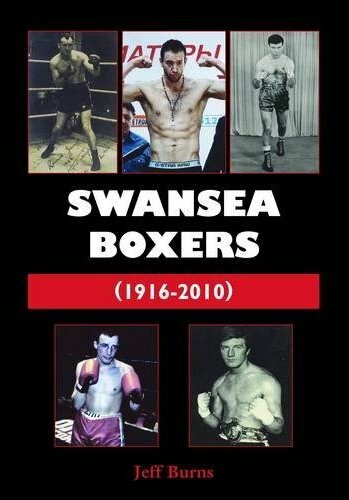 It was a great night and we wish Jeff Burns and his book Swansea Boxers (1916-2010) published by Dinefwr Press, priced £12.50 every success! For those who would like to buy this excellent book please visit here. Jeff Burns gave himself a deadline of 31st December 2010 to complete the book and told us: "I am very pleased with the completion of the book. To be honest I could still be writing. I gave myself that deadline but since then I have received a lot more information but I felt I had to draw the line somewhere. I just hope Swansea boxers and their supporters will be proud that their careers have been recorded in this way, they deserve the recognition." Author and Swansea born Jeff Burns, known as Bulldog, was a former professional middleweight boxer and he decided to record an historical log in a book form so as to acknowledge the boxers from the area. The retired regional officer with the GMB union was persuaded to take on the challenge by friend and city businessman Phil Lake. The book chronicles the careers of 135 boxers, from champions like Ronnie James, Brian Curvis, Colin Jones, Floyd Havard and Enzo Maccarinelli through to boxers who fought just once in the professional ring including Darren Liney, Alan Couch and Steve Grey. Jeff continued: “Sometimes the raw talent of boxers from the city was somewhat negated by the demands placed upon them, like having to go to London or taking fights at short notice.” He reminded us of people like 1980s boxer Kevin Roper who only won four of his fights, only one of which was in Swansea, with another down the road at Afan Lido. He told us: “Kevin was the stereotype journeyman whose motto was have gloves, will travel. The Swansea boxer was renowned for answering the call to fight anyone, anywhere, at minimum notice, provided of course the money was right! There were many other Swansea boxers always ready to take fights at short notice, but few were financially as astute as Kevin. He was not interested in titles, only if the price was right, and who could blame him?” Among his defeats was a 30-second stoppage by Nigel Benn. Jeff Burns was born on 16th May 1948 in Waun Wen. He took up boxing training at the Swansea Youth Amateur Boxing Club in Penlan School Gym run by Jack Kiely. In 1963 he joined the Royal Navy where he took up amateur boxing competitively, winning the Royal Navy Junior Championships twice and the Naval Air Command Senior Championships before being discharged from the service in 1967. From there his life was to be dedicated to boxing (a full bio can be found in his book pages 194 to 198). 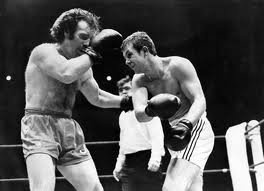 Jeff ‘Bulldog’ Burns reached the pinnacle of his ring career when he challenged his old adversary Mike McCluskie for the Welsh middle-weight title on a sold out Eddie Richards promotion at the Top Rank Suite in Swansea on 27th June 1973. Burns was ahead on points going into the eighth of a 10-round contest. Super fit he went for the knockout against his tiring opponent only to walk onto a terrific left hook counter and although on his feet at the count of seven he was counted out by referee Joe Morgan. After the fight the referee visited the Swansea boxer’s changing room to offer some consolation informing him that he was ahead at the time of the stoppage!